I have to post it because it makes me laugh - I want to post it in my office and just tap it when someone shows up with a silly question. You should do the same. 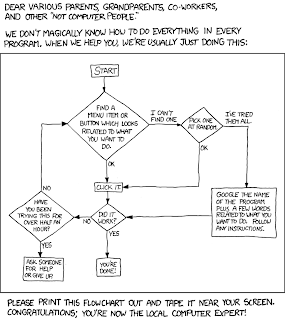 This is from the great webcomic xkcd (though I admit it's often too 'techie' for me to get, even when I follow the above flow chart).